The last few decades have witnessed a major shift from the reliance on drugs to a demand for natural alternatives. What has spurred this change is an increasingly overburdened, expensive and often inaccessible medical system that has been so busy taking care of the sick, that wellness has been left to non-conventional medicine. More and more of us are now moving from a reactive to a proactive approach to maintaining health and well-being, and this includes lifestyle changes, exercise, nutrition and natural supplements. Immunotec Products are built around leading research. World-class doctors, scientists and educators provide the genius and vision behind the growth and reputation of Immunotec. Immunotec products are based on over 25 years of research and have been awarded numerous U.S., Canadian and International Patents. The Immunotec health-promoting products are the fruit of almost two decades of medical research spearheaded by Dieter Beer, one of the Immunotec founders and a businessman with a long track record, and Dr Gustavo Bounous, considered the father of whey protein research. These two eminent professionals created Immunotec Research Corp., a pure research company, which conducted over 18 years of research that is the foundation of our products. Immunotec is all about wellbeing: Immunotec has been putting great attention to the well being, health and energy levels of scociety. Immunotec is all about feeling great and enjoying a healthy and fruitfull life style. Immunodeals is a Distributor of Immunotec Research LTD. Products being sold are directly shipped from Immunotec and are guaranteed to be fresh and great quality. 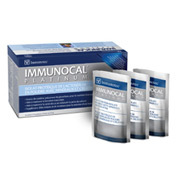 Immunodeals offers all Immunotec Research products at discounted prices. A Few sites l enjoy ... l hope you too..